Pastor Chris (PC) serves as our administrative pastor, and the Lead pastor of Delval East, The Lifehouse church. He is a passionate preacher and effective administrator of ministries in the local church. 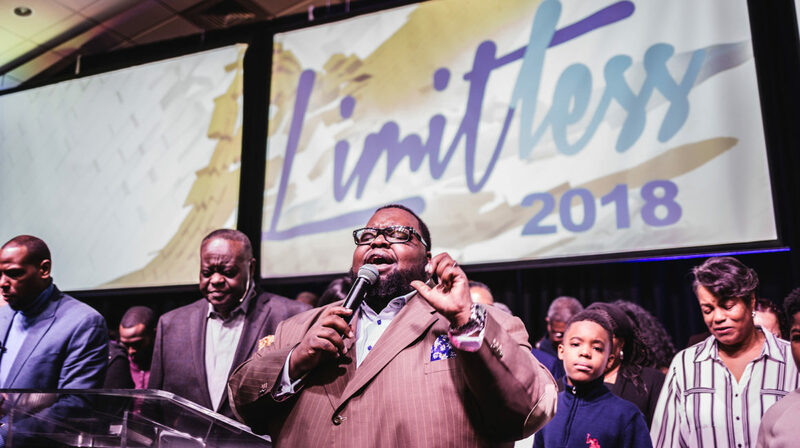 Pastor Chris holds a Bachelor’s Degree from the University of Maryland Eastern Shore, an earned Master of Business Administration from Washington Adventist University and a Masters of Theological Studies from Palmer Theological Seminary. Pastor Chris is a candidate for the Doctorate of Ministry degree in Biblical Exposition from The Biblical Theological Seminary in Hatfield, PA.
Pastor Chris is married to the love of his life, Min. April, and they are the proud parents of four children: Christopher Jr., Jeremiah Anthony, Christlyn Aniya-Joy, and James Louis (LJ). Fun Fact: Pastor Chris is an avid Philadelphia sports fan, and can be often found debating the merits of his positions on sports fandom.